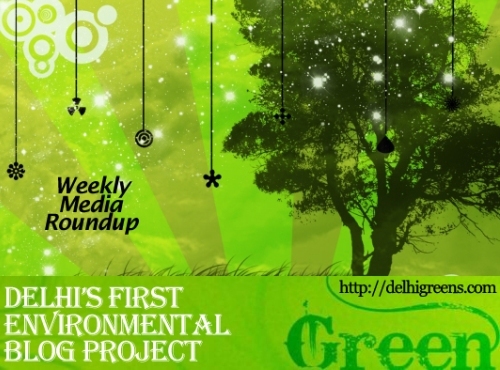 Weekly environmental news roundup from across different media networks for week 41 (starting October 8, 2012) 2012. Almost one-fourth of all the articles that have appeared in this column have dealt with the issue of encroachment in one shape or another. Sanitation-wallahs and police-wallahs encroaching on pavements meant for pedestrians, places of worship encroaching on public land, peoples’ representatives encroaching on heritage monuments, preachers and priests encroaching on heritage structures, so on and so forth. The environment impact assessment resource and response centre’s director Pushp Jain on Saturday visited certain mining affected areas in Goa and assessed the extent of pollution and damage caused by mining. Shocked over the high concentration of domestic sewage in Yamuna’s waters, the Supreme Court has rapped the Delhi, Haryana, Uttar Pradesh governments and agencies that have undertaken the task of cleaning the river. With the season of festivals and holidays drawing near, the Supreme Court on Tuesday served some good news for wildlife enthusiasts by indicating that it would lift the two-and-a-half month old ban on tourism in core areas of tiger reserves next week. Fitness per se takes a backseat as we indulge ourselves in sweets and other treats, giving our otherwise daily workout routine a miss. Experts say, even if it may be difficult to maintain your fitness schedules, taking time out for a brief stroll everyday can do wonders to your body while ridding it of all the fatigue and stress. Environment minister Jayanthi Natarajan’s claim of awarding clearances to projects which will double coal production in the country may not hold true completely as many projects are awaiting environment and forest clearances from her ministry. In a bid to encourage speedy recovery of wildlife population, the state forest department plans to take up meadow development at relocated village sites in national parks, sanctuaries and tiger reserves.